Experiencing abandoned shopping carts in your eCommerce store? You’re not alone. According to Baymard Institute, 67.45% of eCommerce shopping carts are abandoned before the customer completes the sale. Which means your eCommerce sales numbers may only be one one third of what they could potentially be. The good news is, there are proven ways to turn this around and save a good portion of those sales that slip through the cracks at checkout. It’s definitely worth spending a bit of time to discover why your customers aren’t always completing their purchase. If you’re having problems with abandoned shopping carts, before worrying about driving more traffic to your store, your checkout conversion is the first thing you should address. After all, what’s the point in driving traffic to your store, if customers will just slip out when it comes to your checkout process. Why do your customers abandon carts? First, find out where the majority of customers are abandoning their carts, and why. These are the most common reasons, found by the Baymard Institute. Could any of them be applicable to your store? Once you figure out the major reasons customers are abandoning your checkout, focus on plugging these leaks first. Sometimes adding costs to orders is out of necessity, like taxes, shipping, and fees. Ask yourself, are your added costs fair? Are they expected? And, are they explained? If you can’t cut added costs, make sure it’s clear what these added fees are paying for. Consider offering free shipping on orders over a certain amount. A Deloitte study found 69% of shoppers are more likely to shop with online retailers who offer free shipping and 61% of shoppers would quit their order if free shipping wasn’t offered. Some shoppers just want to make a quick purchase. They don’t have the time to create an account. 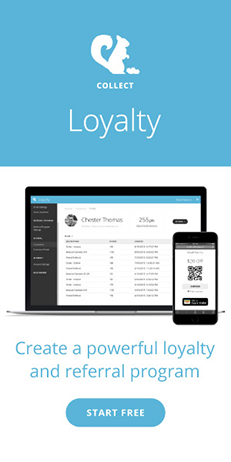 Allow shoppers to checkout as guests. 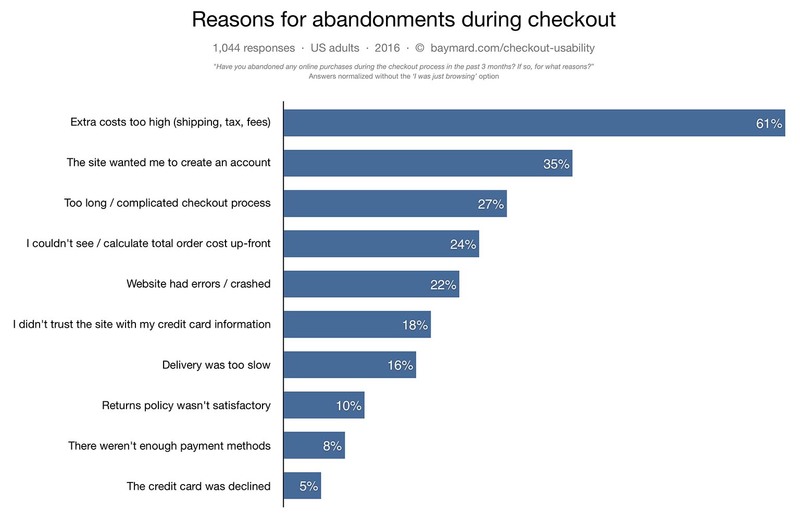 1 in 4 shoppers abandon shopping carts due to a “too long / complicated checkout process”. Optimize your checkout process by cutting down the number of steps or required fields. Consider testing to see if single-page or multi-page checkouts work for you. Some studies have shown single page to be more effective and some retailers see better results from multi-page. It’s a good idea to see what works for you. If you’re going to use multi-page checkout, including a progress bar to show the customer how they are progressing can help nudge them through. One upside of opting for multi-page, is you capture the customer's email early on the first page, allowing you to follow up later with an abandoned cart email if they do abandon. From website errors, not enough information on returns and guarantees, to unusual payment methods, shopper trust can be lost pretty quickly when it comes to them feeling in the mood to hand over their credit card details. Make sure your eCommerce site is with a trusted provider, like Shopify, to help ensure it’s not likely to error or crash. 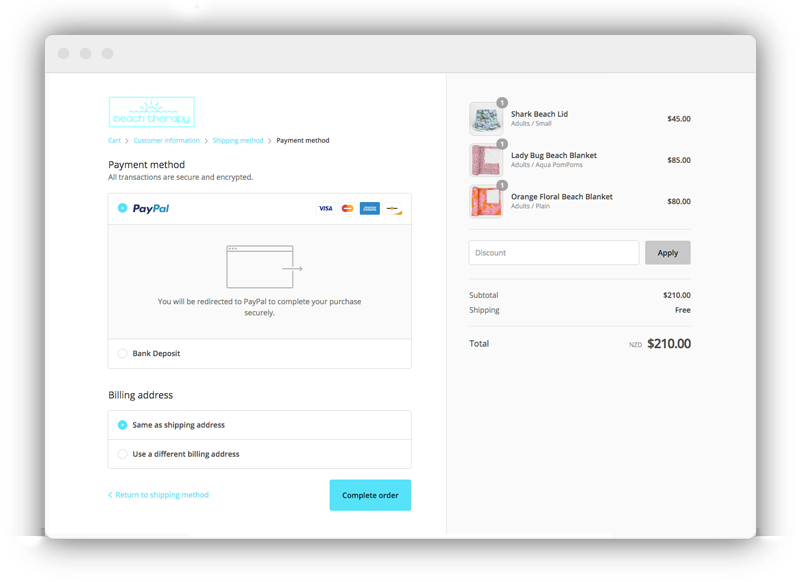 Offer different payment methods and use trusted payment gateways, like PayPal. Use security logos. In a test published by Get Elastic, an online retailer found that by placing a security badge on their site, sales increased 4-6%. Yet other studies show a decrease when using these logos. So it’s important to test the placement and style. Display total price upfront, before the customer is required to enter their payment details. Offer guarantees and refunds. By having a clear and practical guarantee and refund policy, you’re adding peace of mind to the shopper’s experience. Of course, even with all these improvements, some shoppers will still abandon. Not to worry, here’s where abandoned cart recovery emails come in. When shoppers start the checkout process and add their email address, but stop before completing the sale, they aren’t a lost sale yet. 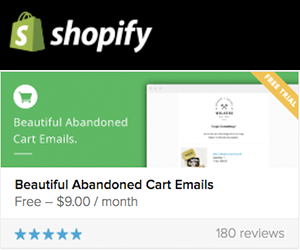 You can still win them back with an automated abandoned cart email app. 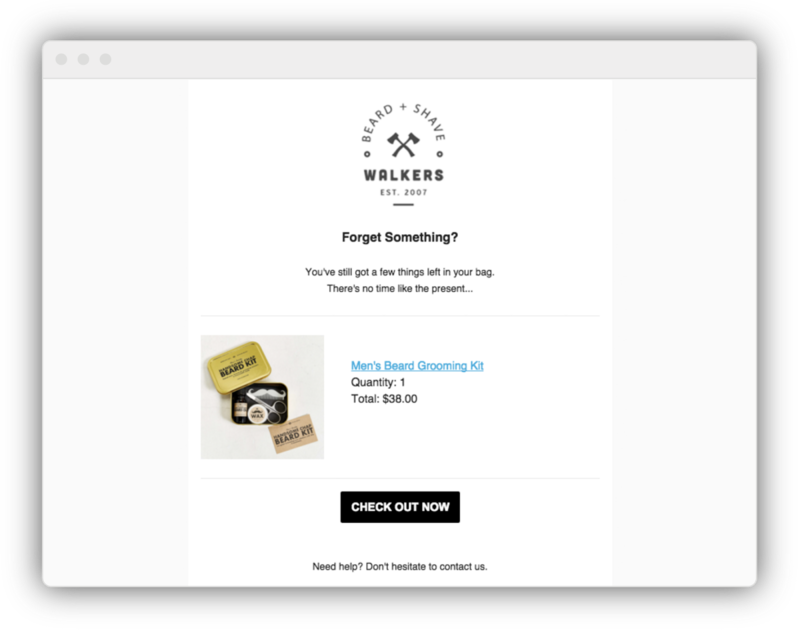 Using the Shopify Beautiful Abandoned Cart Emails App, you can design a series of two great looking follow up emails that automatically pull in the products that were in the customer’s cart, reminding them of what they left behind. Once you’ve customized the design, you can set the times you want the emails to automatically send. Include product images of the item/s they selected. Include a strong call-to-action button that takes them back to their cart to complete their purchase. Make it your own with your branding and messaging, but keep it short. Send the first email out within 24 hours, and the second within a few days. Try adding a discount coupon code on the second email to entice them to complete their purchase.